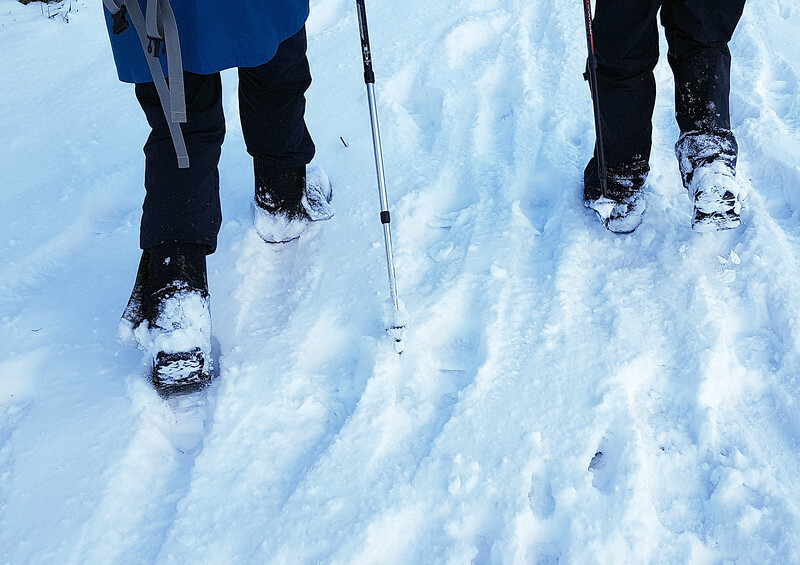 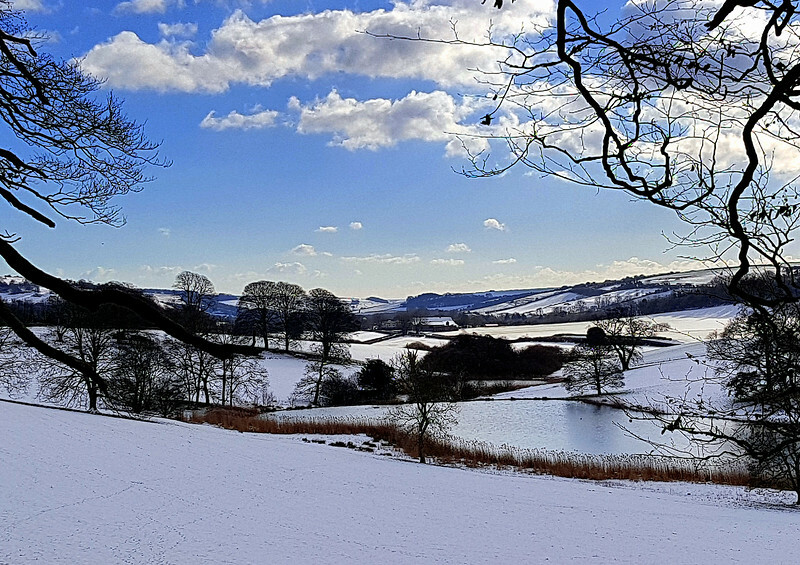 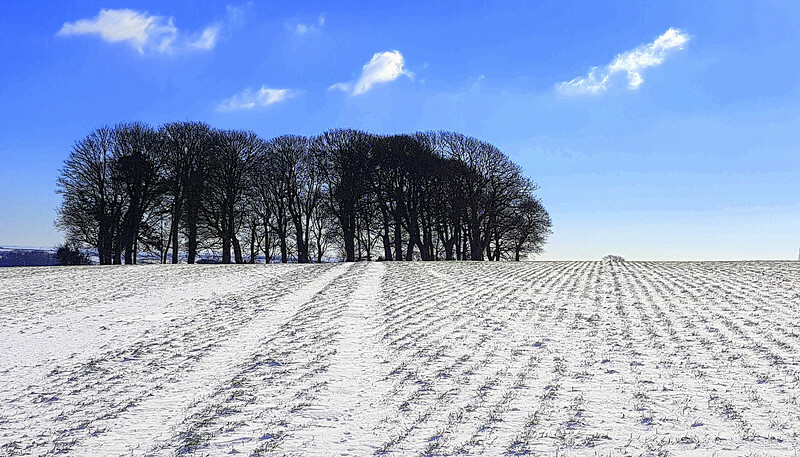 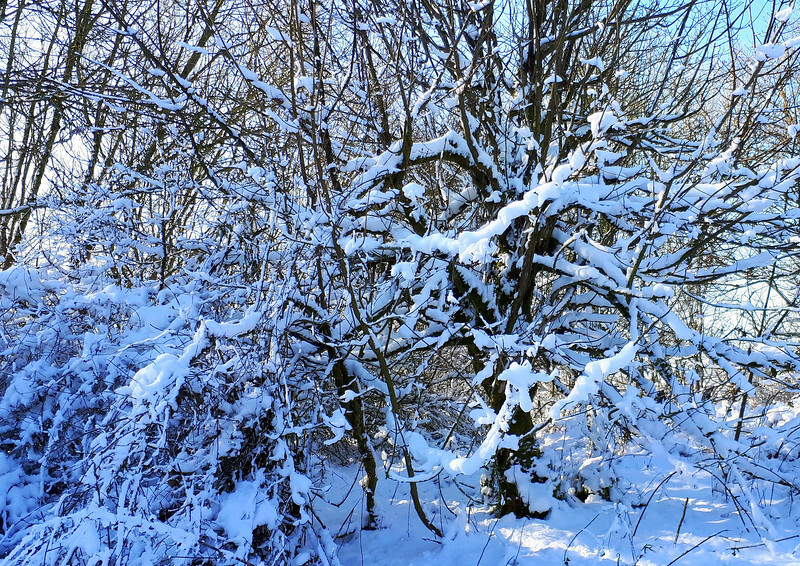 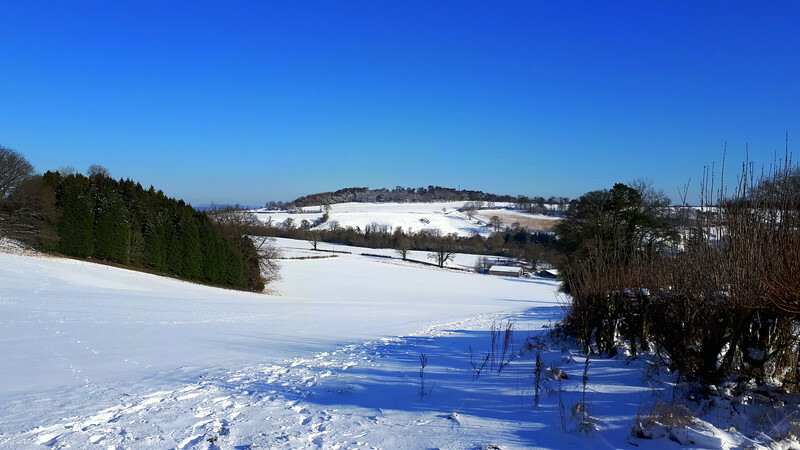 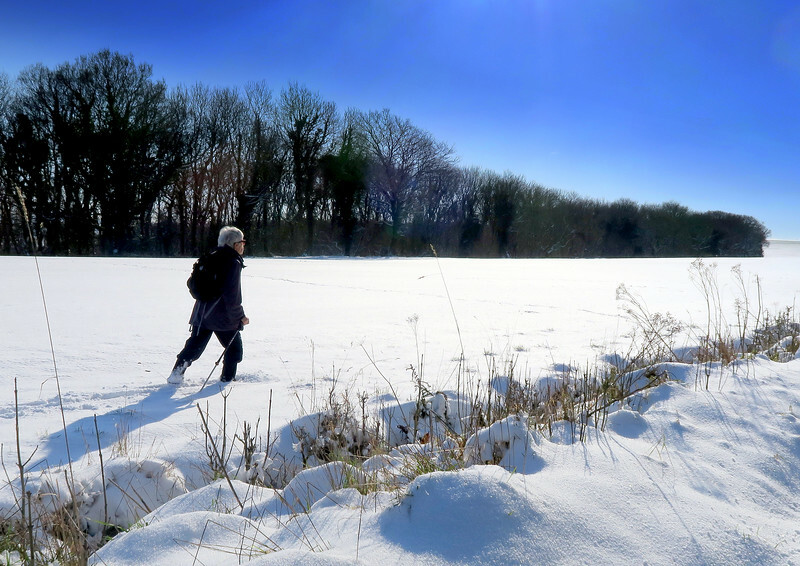 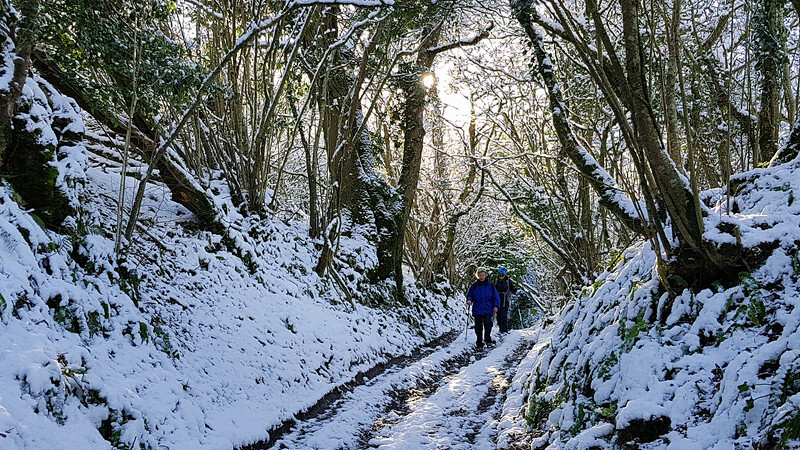 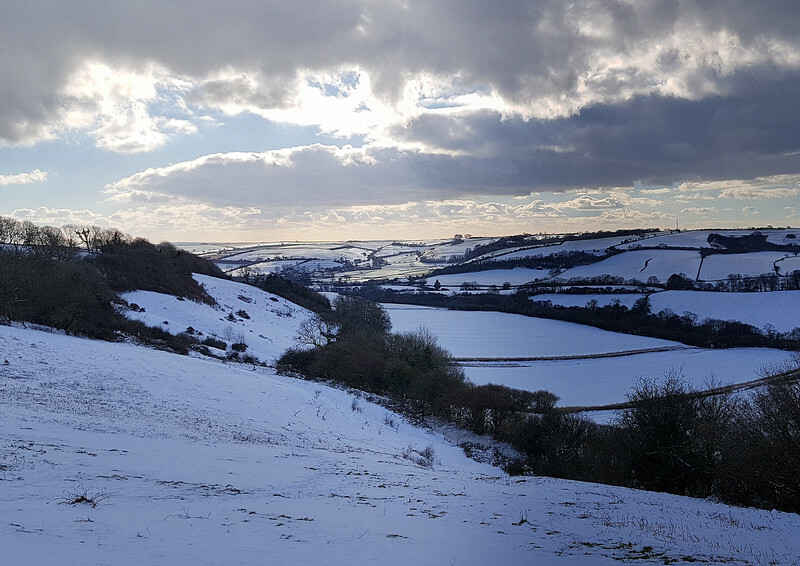 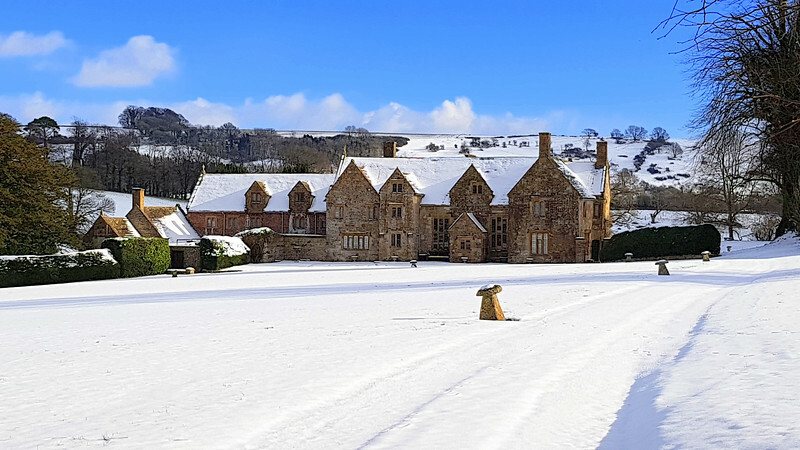 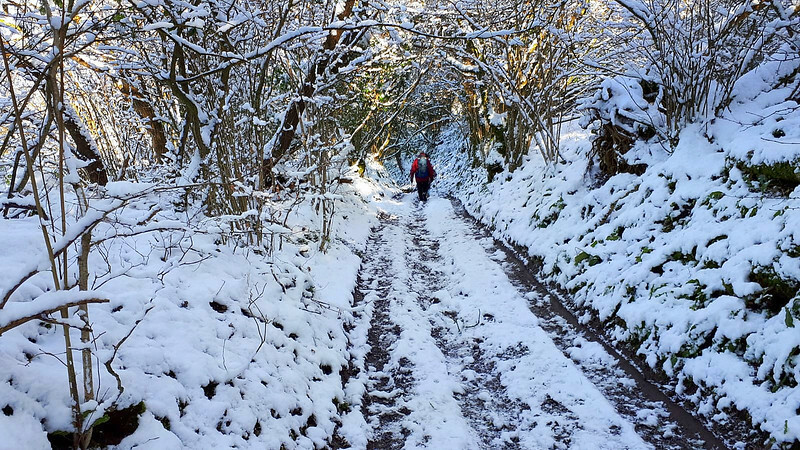 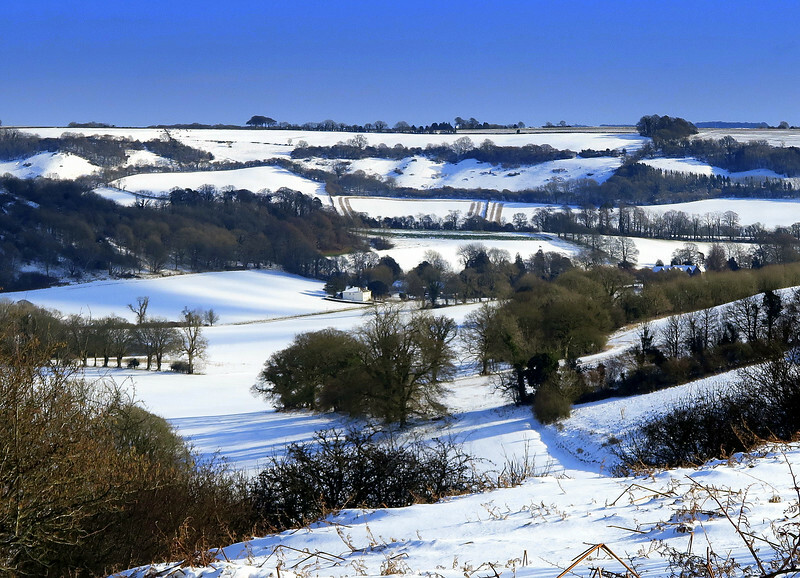 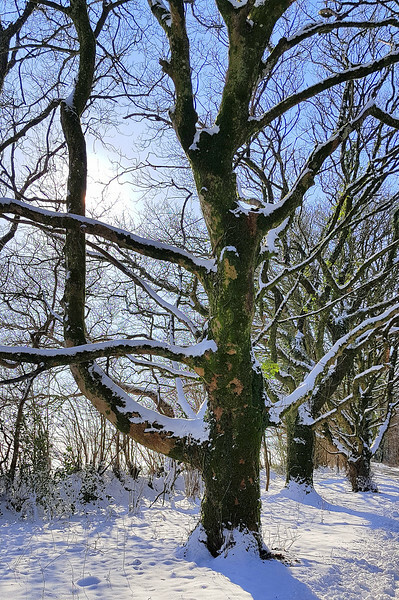 Here are some images from our very snowy but beautiful walk from Minterne Magna with Diane on Saturday 2 February 2019. 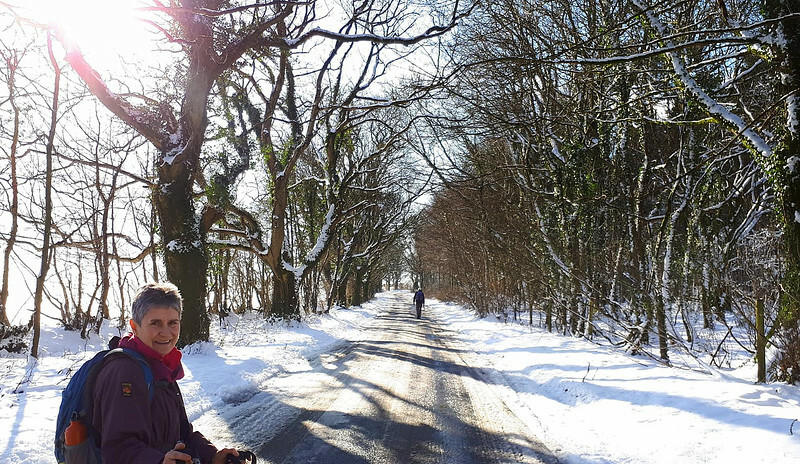 The weather was cold but sunny and the walk was 8.1 miles long. 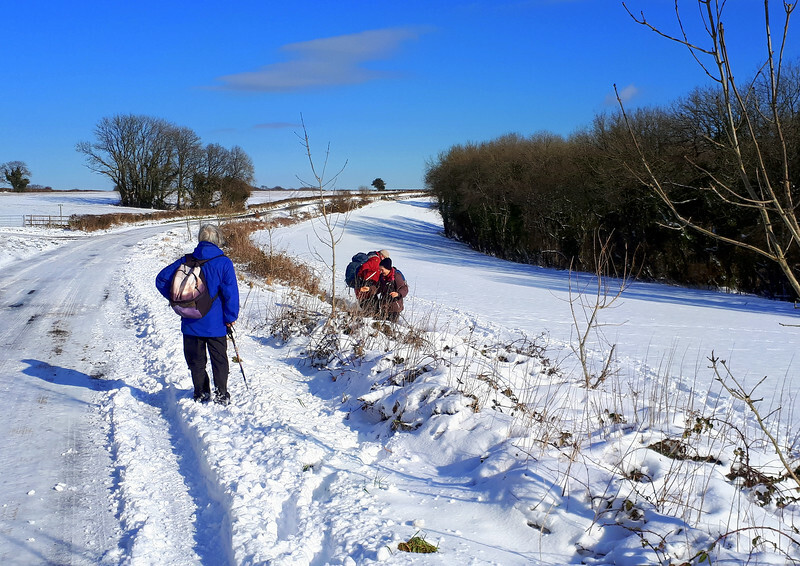 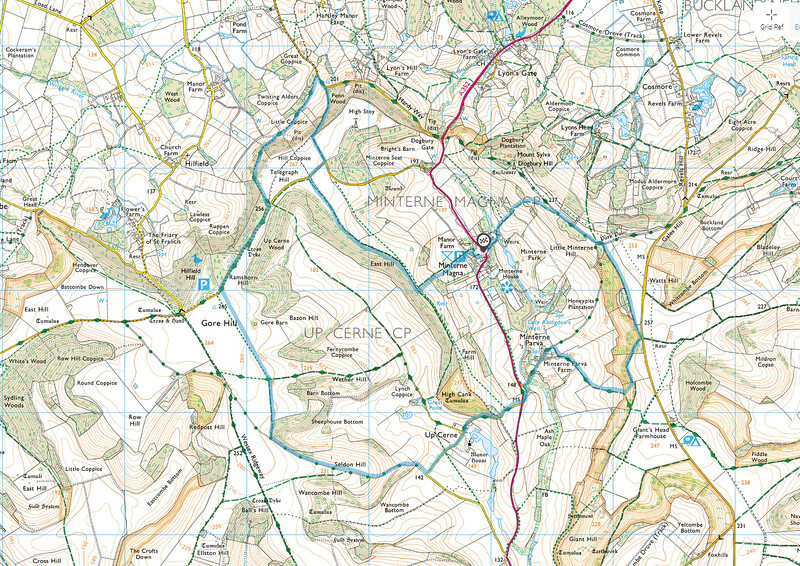 We followed the blue route above in an anticlockwise direction. 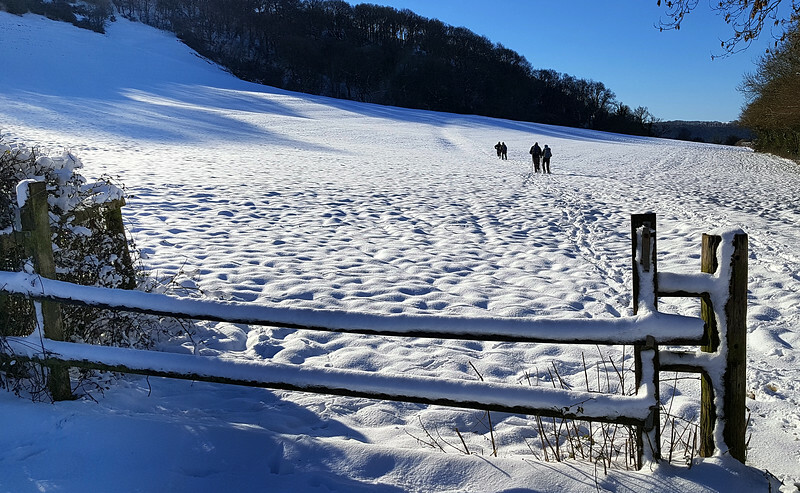 The level snow depth was from 4 inches at the car park to about 8 inches up on the hills, with depths of up to 2-3 feet in drifts. 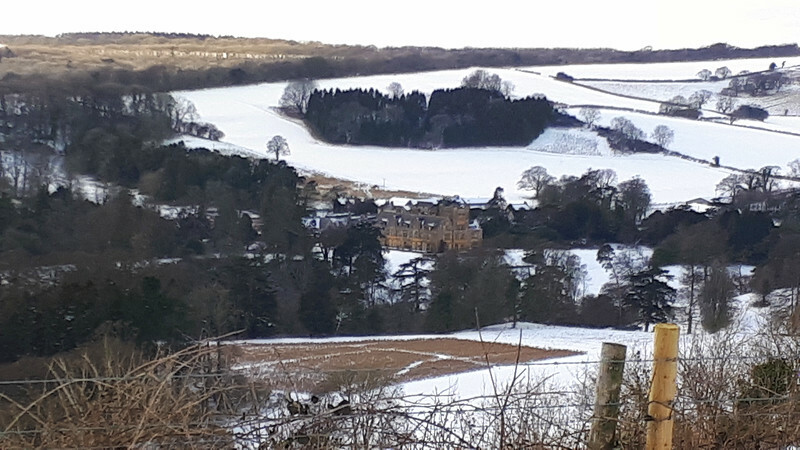 Looking down to Minterne village. 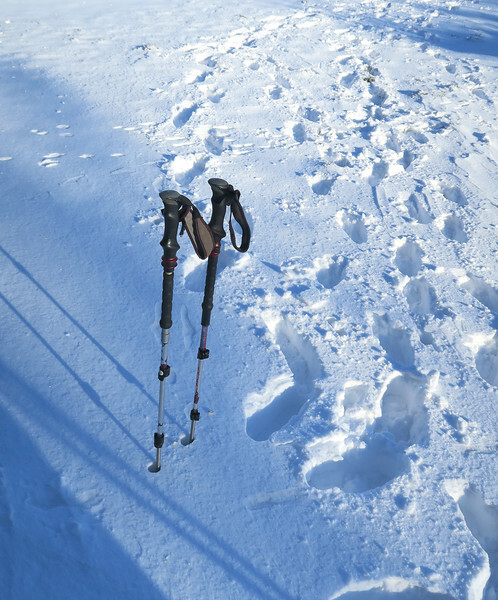 I dropped my stick here and had trouble finding it again! 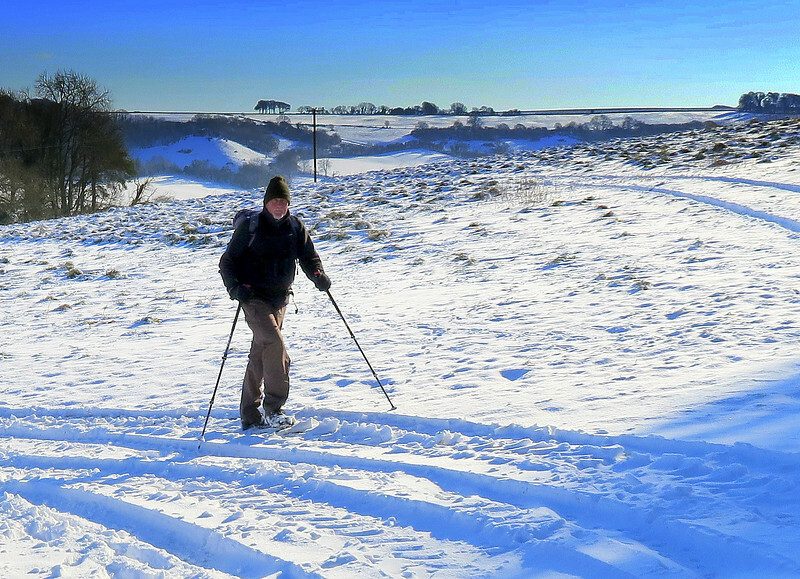 Di plods along in a determined fashion!